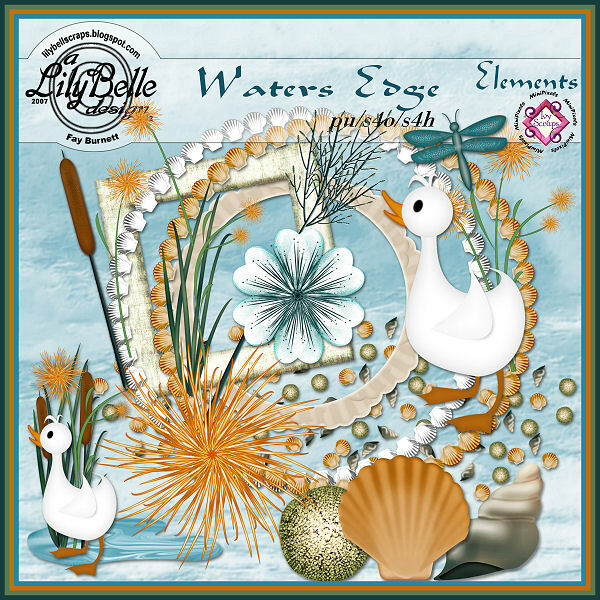 The Waters Edge kit is now available in the MiniPixel boutique at Ivy Scraps along with many other beautiful scrapbooking items. 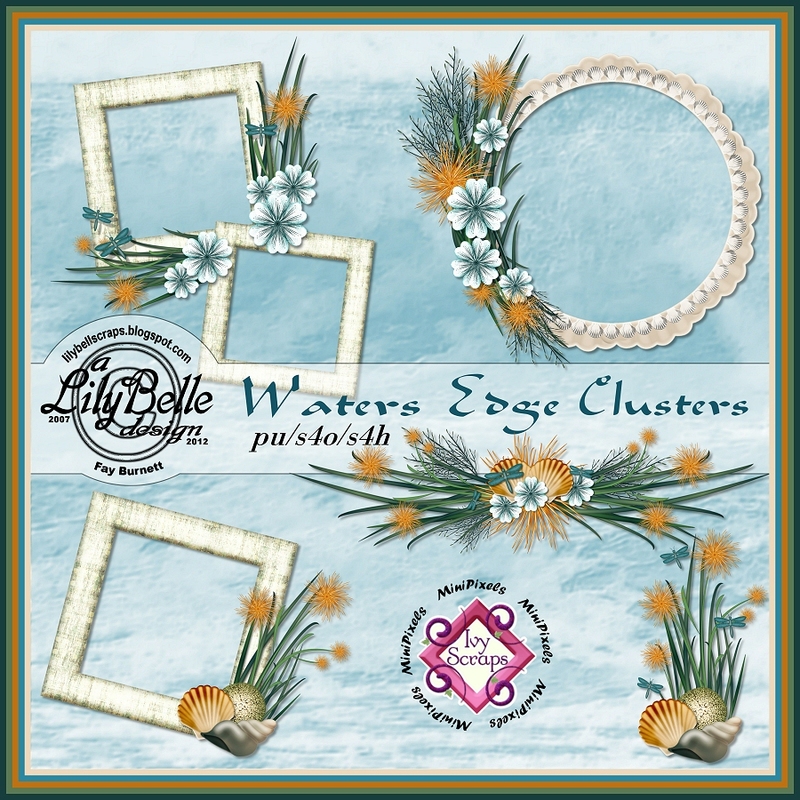 You will find a free quickpage in the store and two photo-edgers for free download at the end of this post. 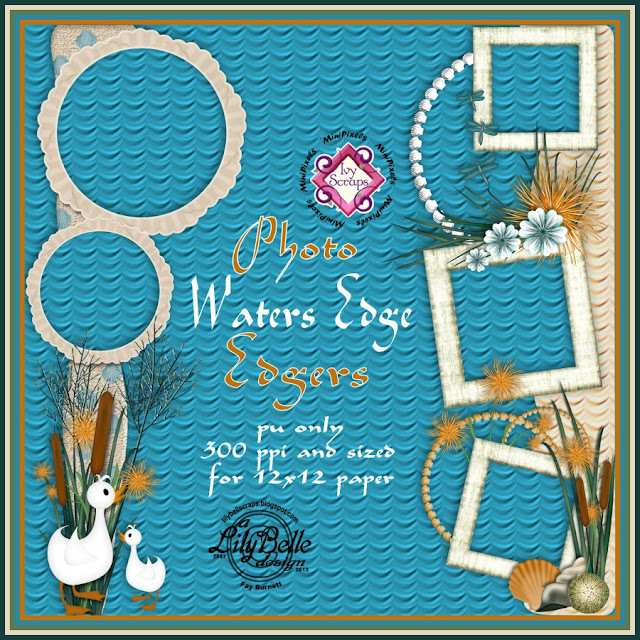 These two photo-edgers should be great for layouts requiring lots of journaling or if you like to create "white-space" layouts. They have been designed at 300 ppi, in png format and are provided in two versions - with and without drop shadows. Both were made for use on a 12" x 12" layout but will resize perfectly to any size you wish. Since these items are free, they are for personal use only. Thank you very much for these lovely photo edgers! I just bought this beautiful kit in the store this afternoon. Thank you so much for this post. 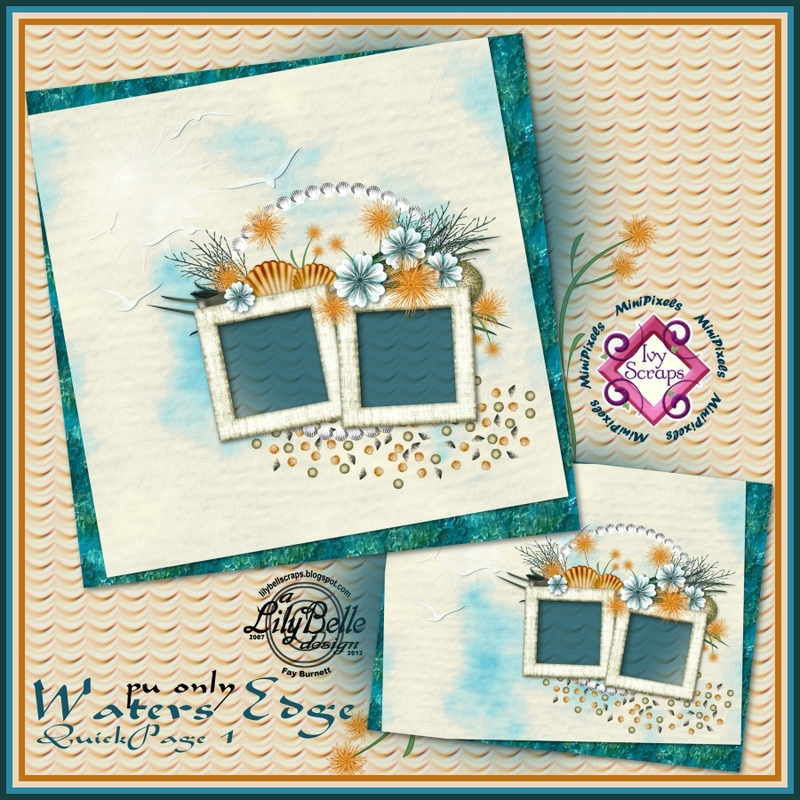 I want to let you know that I posted a link to your blog in CBH Digital Scrapbooking Freebies (please, notice the new url for my blog), under the Page 9 post on Aug. 01, 2012. Thanks again. 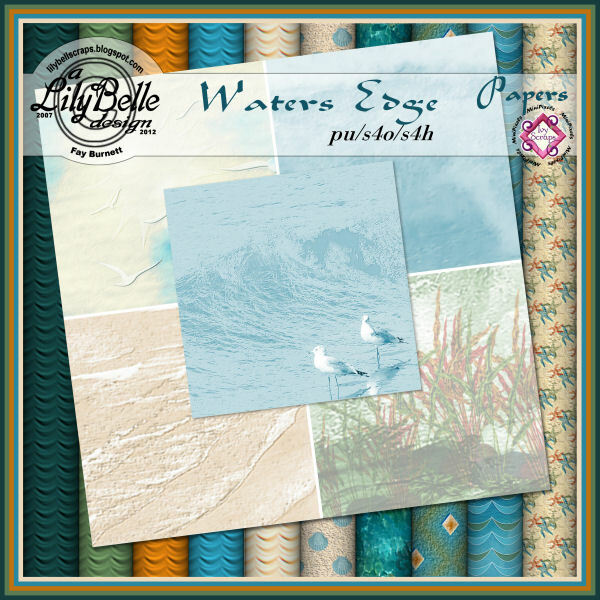 The Waters Edge came in just fine, both the store and from the blog. Of course, such a favorite subject with me, and surely they will get used and I appreciate your sharing and also putting in the boutique for the benefit of the site. So beautiful. Thank you very much for your designs. (P.S.) Couldn't get your blog through your signature--I came in my usual way which is through my own blog without any trouble. Maybe I wasn't clicking on the right thing--it's hectic here--[yeow]) Hugs.